Last weekend we played some close and exhilarating games, again some coaches and players summarized it for you so you don’t have to miss a thing! Giannis: Sphinx HS2 made an emphatic win in the league winning Black stars HS1 with 24 points difference! The players of Sphinx were decisive to not let the opponents any chance of competing them. 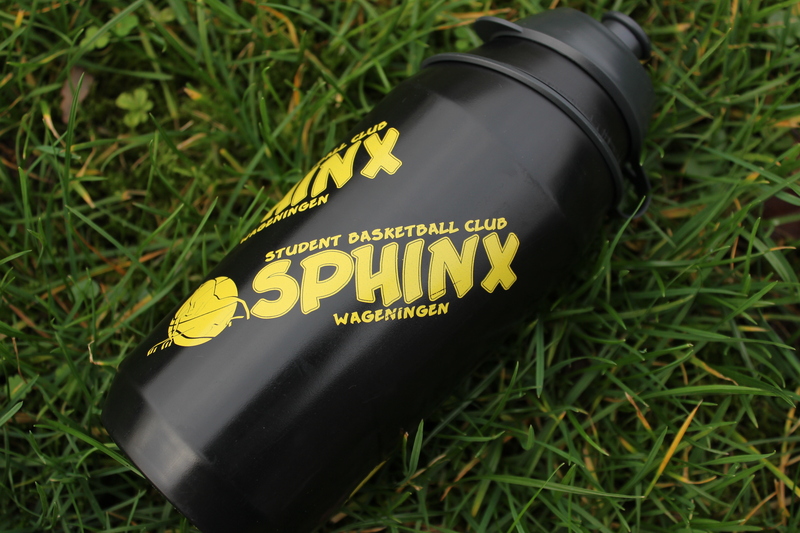 Sphinx started strong in the game making a lot more of free shots against the zone defence of Rhenen’s team! However, the opponents managed to be close to the score passing the ball to their centers scoring under the basket or taking free throws! Although, managed to control the game until the end! Even though Black Stars had the opportunity to reach the score by shooting in total 43!!!! free throws!!!! One more win for Sphinx HS2 to the road of the Championship! Sonia: It was a deserved win for the Sphinx ladies against the number one of the league. We started focused and leading the game. Although our opponent didn’t make it easy, we managed to go ahead during the whole game. The offense was coordinated and we scored both layups and shots. And it was also important that we were able to stop their good players with our intense defense. However, the accumulation of fouls was a problem. The end of the game was difficult, but our effort and your support led us to win (63-61). In this exciting game we had nothing to lose, because the opponent would keep its leading position. But we showed how our team had improved throughout the season. Bram: Another disappointing loss for Sphinx men’s 1st. After impressive and inspiring wins for both the men’s 2nd and the Ladies 1st (a big shoutout to these teams! 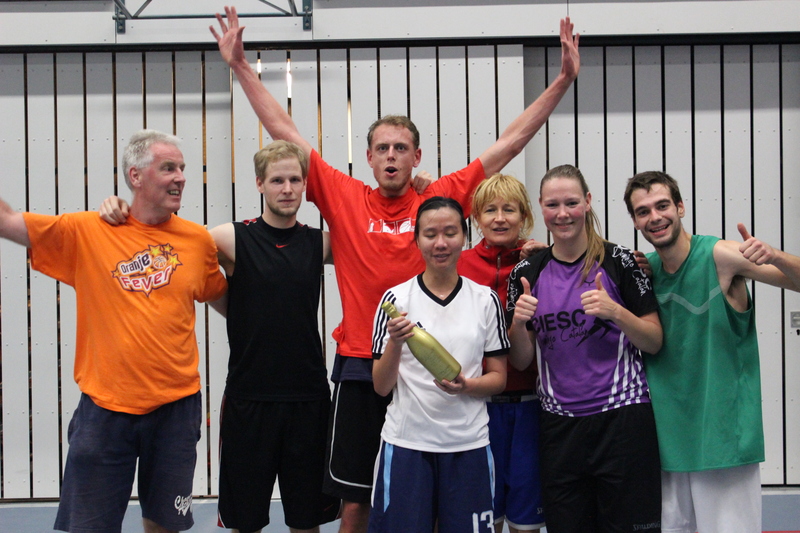 ), we were determined to continue the victorious weekend against the nr.2 in our league, Octopus from Vught. Offensively we did put this fairly well into practise, but defensively we did a very lousy job (as the final score reveals). Especially our defensive rebounding and communication in defense was miserable. Moreover, we basically gave away the game by blowing a 7 point lead in the final 5 minutes of the fourth quarter (not to discredit Octopus, they deserved the win). This is the first time this season that we suffer consecutive losses, so obviously we have to do better. We are however still very determined to turn things around and plan to do so coming Sunday in the away game against Wyba. Théo: Even if we only had 7 players, the game started out quite evenly with Sphinx H3 being down only by 3 at the half. However, they began to pull away due to their center who Sphinx was not able to contain and were up by 9 at the end of the 3rd. Sphinx hit a number of open 3 pointers after great ball movement to bring it within two but that was the closest we got as they pulled away thanks to 2 of our centers fouling out. Overall I was pleased with the teams play as everyone contributed to this game. What’s up basketball fans! It’s been a while, but since the season is approaching its climax rapidly we believe it’s time for another #SphinxWeeCaps ! To give an even better overview of what happened last weekend we asked some of the coaches and players to give a recap of the games, enjoy! Théo: This game saw a great team effort as well as contribution from every player against a very physical team. Offensively the team generated great looks however shots were not falling. Good defense kept us in the game until half time where they started to pull away. The final score of 39-65 did not reflect how well the 3rd team played. Bram: A disappointing night for Sphinx men’s 1. 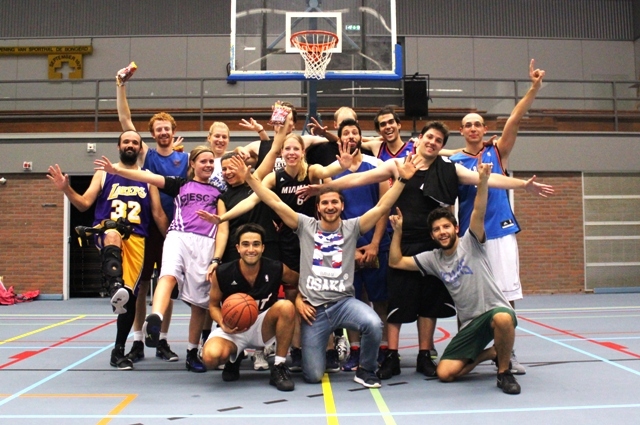 Friday evening we traveled to Eindhoven to play against Tantalus. It promised to be an exciting game since it was nr.3 of the ranking (us) against the nr. 4 (them). We got off to a fairly good start, but soon we started playing sloppy and uncoordinated. This made that we lacked behind by 7 at halftime. We tried to turn the tide in the second half, but couldn’t find our rhythm and kept on making mistakes, which made us lose by 10 in the end. This ugly loss gave us a lot to think about and work on, which we will definitely do, starting this week. Coming Saturday we play against the nr.2 and we are very motivated to bounce back and play like Sphinx’ basketball again! All support is more than welcome, so see you all Saturday at 14 o’clock in the Bongerd! 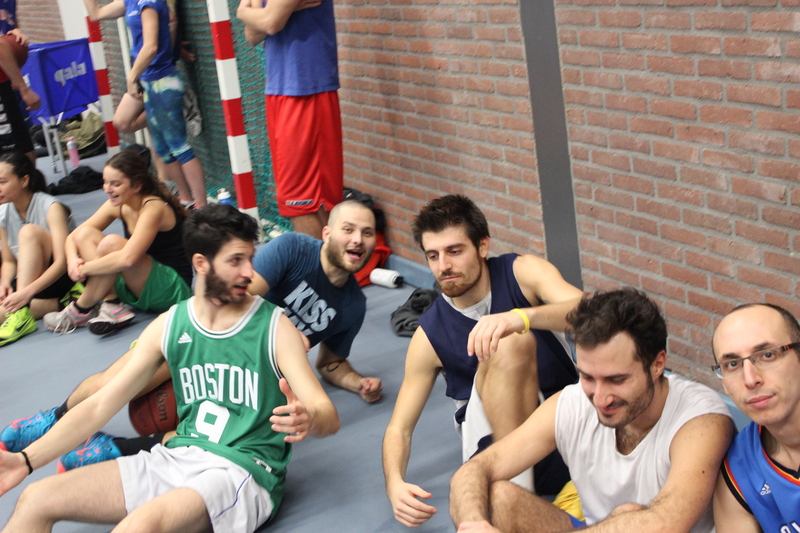 Giannis: Sphinx HS2 continued its winning run, this time against Pluto HS1! We started playing very focused in the first quarter managing to find ways to score against the zone defense of the opponents! We made some free shots building important score difference in the first half! This difference helped us to keep the pace the game! However, in the beginning of the second half we lost our concentration in defense in result the other team to reach us in the score! At the same time, we could not find easy way to basket making difficult to keep up with scoring as the first half! In the last quarter we improved our defense managing to steal some balls and scoring in the fast break! All these led to another victory! 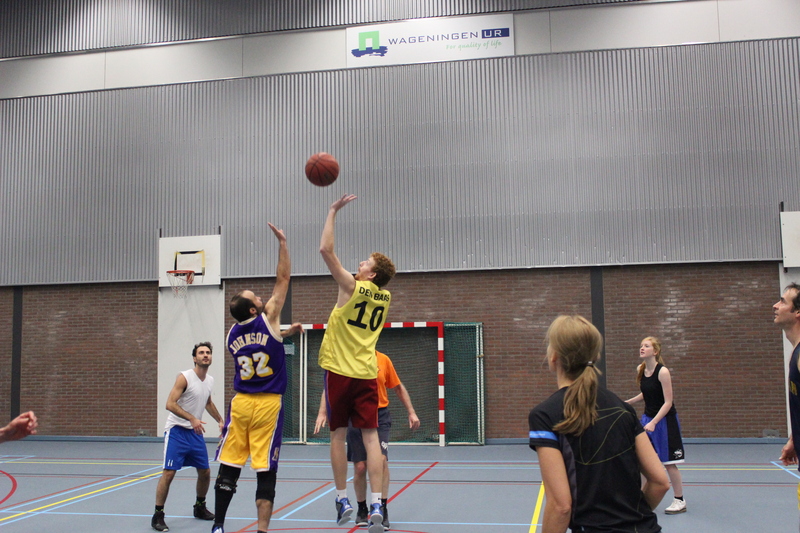 Sonia: Last Saturday, Sphinx Ladies won against Rebound ’73. Although at the beginning the score was equalized, as soon as our team woke up, we started to score many points and to improve our defense. The difference in the score became even bigger when the other team made the mistake of changing their zone defense to man-to-man defense. Even though the court was small and their fans were annoying, we managed to destroy them and the game ended with 26 – 86. It was a nice game, with good plays, keeping the intensity until the end and getting ready for the next game against B.A.S., the number one in the league. This weekend we have a couple of exciting games in prospect. Friday night both the second and the ladies team will have extremely important matches at home (19:00 & 21:00). Saturday afternoon at 14:00 the Men’s first will play at home and the third team will travel to Didam to play Dedein. It would be amazing to have you guys there since we can use the support! 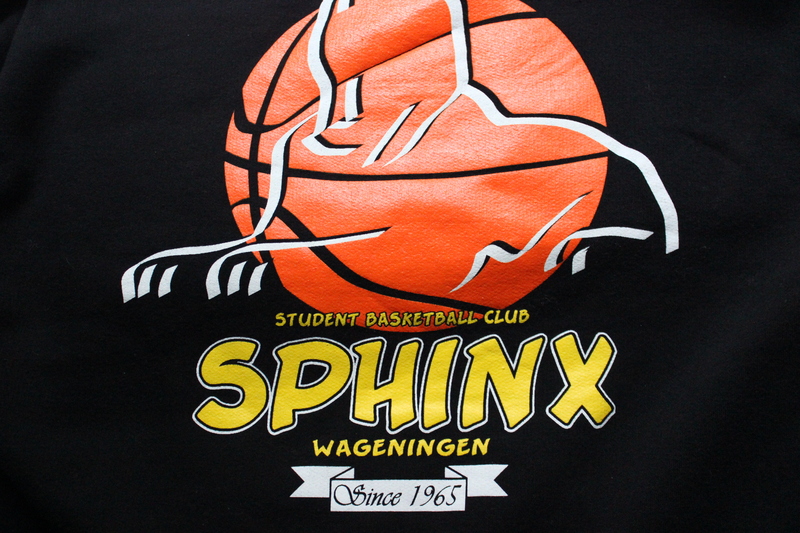 Go Sphinx! 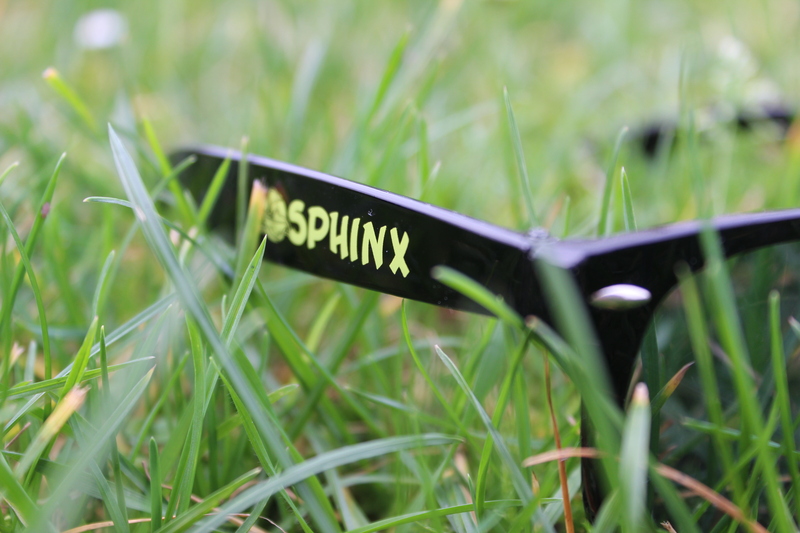 Sphinx exists for 50 years, for that reason you can now buy the Lustrum edition water bottle, sunglasses and sweater! Thank you all for coming to our activities, the lustrum committee and the board are really happy that so many of our members came to celebrate Sphinx 50th birthday! Monday the 16th is the official birthday of Sphinx, the first quarter, We want to celebrate this with you in a nice potluck dinner with cake and champagne! The second quarter is on thursday the 19th. Bowling! Come show your bowl handling skills! Note that this activity is for free! To take a break from this busy week you can enjoy a nice pancake dinner with some beers! The third quarter on sunday the 22nd is a reunion tournament for all sphinx (ex)members! Tuesday november 24th you can join a mixed tournament for all members! 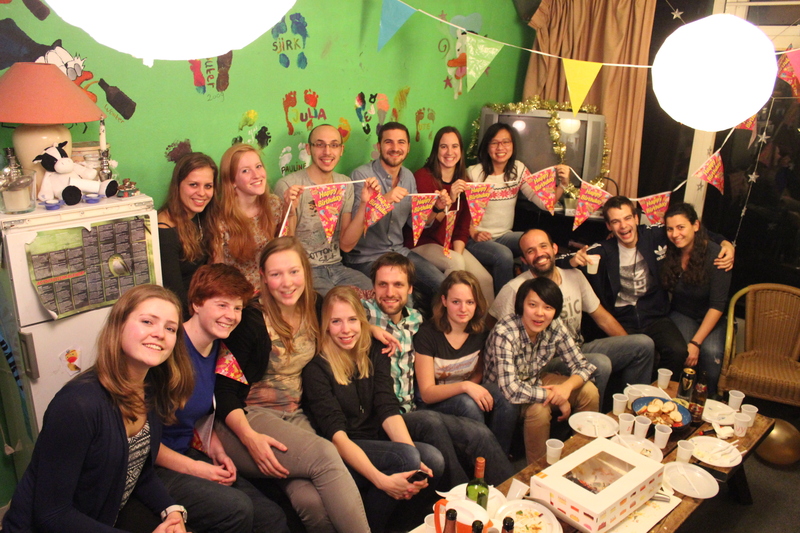 After these days full of activities we finish with a golden party in the Bunker! Here you get a welcome drink and goldstrike shots will be 1 coin! This is an open party so don’t forget to invite all your friends! Thank you all for coming to the GMM of September, we really enjoyed it and the tournament was fantastic!